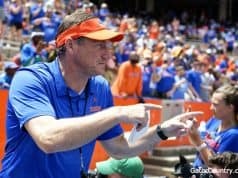 The Gator Country message boards are fertile grounds for lively discussion, and sometimes even debate. And the early portion of this basketball season has provided plenty of fodder for both. Ever the provocateurs, columnists Eric Fawcett and Brent Mechler will frequently step in to the stir the proverbial pot with a series titled, “Forum Fracas”. Each will be offering a differing perspective to a timely hoops discussion, sometimes with one having to grit his teeth and even argue against his own opinion . . . all done in the hopes of inciting your response. So, don’t let ‘em down! Read, reply and join in on this week’s Forum Fracas, as the authors debate Jalen Hudson’s role. Should he start? Should he come off the bench? Brent and Eric have the right answer. Well, at least one of ‘em does. 1) To date, this Florida basketball team has struggled offensively. 2) Jalen Hudson IS Florida’s most talented offensive player. I can almost “rest my case” on these two statements alone. Certainly, it makes very little sense to handcuff a struggling offense by sitting its most potent offensive player. And so, my position is that Hudson needs to play . . . early and often. Sure, I understand Coach White was sending a message in the Bahamas. But whatever communication White was initiating should be a two-way street. In other words, let Jalen respond – with his play, on the court and in the starting lineup. To date, White’s plan to play Jalen off the bench has not worked – at least not from the perspective of jumpstarting Hudson’s game. Instead, Jalen has entered contests hesitant –as if looking over his shoulder to the scorer’s table and wondering when the hook will come. 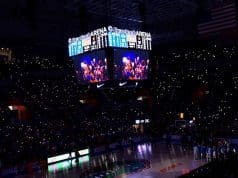 This is the absolute last thing Florida – a team in desperate need of moxie, confidence and POINTS – needs from its best scorer. And let’s make no mistake – Hudson IS, was and will be a ‘scorer’ first and foremost. That was his reputation when White recruited him from Va-Tech, and the REASON he recruited him so hard. So, it is a bit unfair to feign surprise or frustration by Hudson’s inadequacies on the other end of the court. White often preaches that a player’s performance defensively or on the glass can positively impact his offensive game. That may be true for some, but I will submit the opposite is true for Jalen. I think he needs to see the ball go thru the net in order in initiate some enthusiasm . . . and he especially needs it now, while mired in a slump and stuck in a doghouse. 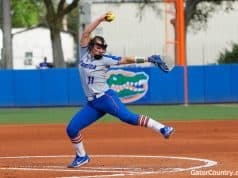 The Gators are entering a brutal stretch of games, and one followed by something perhaps even tougher – conference play. This team will absolutely need Jalen Hudson in order to succeed. . . a confident and aggressive Jalen Hudson. Considering Hudson’s hype and presumed role, a perceived demotion will rob him and his team of both. And so the time is NOW for him to emerge – both as the player we know he can be, and the starter he should be. It has been a couple weeks since those dog days in the Bahamas. Let’s move on from “messages” and into a winning mode. Coach White should give his star player and his team a needed boost tonight by re-inserting Hudson into the starting lineup. He’ll be happy he did. 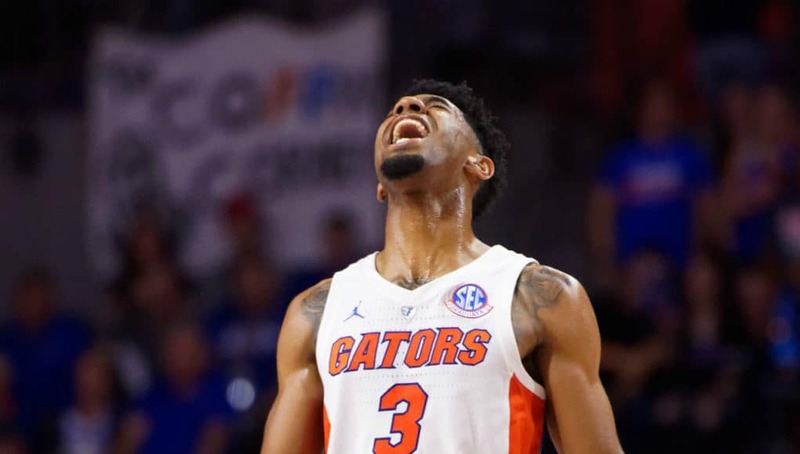 Jalen Hudson’s struggles to start the season have been a major drag on Florida’s ability to score the basketball and the coaching staff is definitely going to need to find a way to get him going as the ceiling for this team is largely reliant on how well the 5th year senior can play. If you’re trying to get the best out of Jalen Hudson, let’s look at where he was most successful last season. It was off the bench. Hudson’s best basketball came as a 6th man with the Gators last season as an instant offensive weapon off the bench. To see the success he had in that role versus the way he has started this season as a starter makes me think utilizing him off the bench is the best way to go. The other issue with starting Jalen Hudson right now is that there have been two clearly better perimeter pieces in Noah Locke and Deaundrae Ballard who have earned more minutes than he has. Starting Hudson over the players that have provided better basketball could give the illusion of entitlement which might not sit well around the roster. Additionally, what message would that send to potential recruits? I’d rather they see Coach White rewarding the players that earned minutes and not just playing veterans who have paid their dues. From a schematic standpoint I also think taking Hudson off the bench is the best way to go. Hudson needs the basketball in his hands to be affective and when you put him with the starters that detracts touches from Andrew Nembhard who has proven himself to be a reliable point guard. Taking the ball out of Nembhard’s hands takes away his primary skill of running pick and rolls and generating offense, both making him less affective right now and also stunting his development. If you were to get Jalen Hudson off the bench with a unit of say Mike Okauru, Keyontae Johnson, Chase Johnson, and Isaiah Stokes then he could be the primary ball handler while those other players set screens and space the floor. Jalen Hudson’s unique skillset is a blessing and a curse with his ability to light games on fire or go ice cold and stall out the offense. You can handle a player like that off the bench but I’m not sure you want to live and die on him as a starter. I think you are spot on Eric. Jalen has struggled somewhat defensively and offensively. His role off the bench last year was awesome. When the starters need a break he’s the key to spark the team as “THE SIXTH MAN IN THE SEC”. He knows he can do it, but just needs to get on a run. A little more time on the court, and a little more confidence and we’ve got a winning combination. How can you start a person who has ZERO ZERO confidence in his game right now? We are seeing the same person, same athleticism, same attitude, but ZERO confidence. Without that Hudson is a liability to the team. Each time he misses a shot whether it be a layup or a jump shot, the already minimal confidence dips even further. It is impossible to justify playing time when there are people like Johnson, Ballard and Locke who are simply outperforming him. We all know what he is capable of doing. Just like Allen last year Hudson is in a confidence slump which is compounded by the performance of other players who are simply outperforming him. Until the player, sheds the pity party and finds ways to score, we have to go with the players who have higher levels of confidence with their abilities.